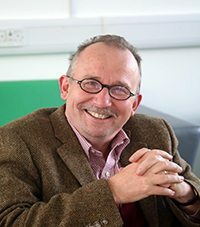 Edmund Sonuga-Barke is currently Professor of Developmental Psychology, Psychiatry and Neuroscience at the Institute of Psychology, Psychiatry and Neuroscience, Kings College London. He also has Visiting Chairs at Ghent University, Aarhus University and the University of Sussex. He is Editor in Chief of the Journal of Child Psychology and Psychiatry. Motivated by his own experience of growing up as young person with dyslexia, his research focuses on improving the lives of children and adolescents with neuro-developmental disorders. To this end, he employs basic science approaches to study the pathogenesis of conditions such as ADHD; their underlying genetic and environmental risks, mediating brain mechanisms and developmental outcomes. He is a husband (Funke), father (Pascale and Julien), a life-long Derby County FC supporter, a soul music aficionado and a Roman Catholic. al Medicine, Surgery & Emergency Medicine) in the U.K., he completed his Residency in Psychiatry, and Fellowships in Biological Psychiatry and Child & Adolescent Psychiatry at the University of Cincinnati, Ohio, U.S.A., where he then was Assistant Professor in Clinical Psychiatry. He moved to his current position at the University of Navarra in 1999. He completed his Ph.D. at the University of Navarra (2002), in Psychiatry & Neurosciences and his dissertation on Phenomenology of Children at High Risk for Bipolar Disorder obtained the “Extraordinary Thesis Award”. He received awards such as the AACAP Presidential Scholar Award, the Association for Academic Psychiatry Bristol-Myers Fellowship in Academic Psychiatry, and the Society of Biological Psychiatry Eli Lilly Fellowship Award, and has been Mentor twice in the Donald J. Cohen Fellowship. César’s main research interests are ADHD, paediatric mood disorders (especially bipolar), and paediatric psychopharmacology, with research funding from national and international private and public sources. He is member of EUNETHYDIS´ Guidelines Group and of the Scientific Program Committee of the World Federation of ADHD. 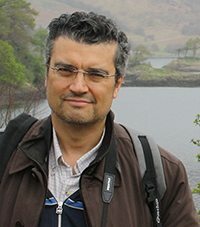 César is reviewer of 29 international journals, and is author of 74 original reports, 95 book chapters, 241 abstracts at national or international conferences and has authored or edited 19 books (H Factor: 27, mean year citations: 110), and has been invited to give 346 talks at National and international conference/meetings/courses.